Once in a while I like to have a what I call top to toe pampering session that just picks you up instantly and it can be achieved in your own home with a few great products. This is great if you don't want to be spending money at a spa which is very expensive or you simply have no time to visit one (me!) I recently decided to have a pamper evening when Nicole's at my aunts so I can relax and get that refreshed feeling and I thought it would be great to share it with you mummy's in particular that need a pick me up once in a while. 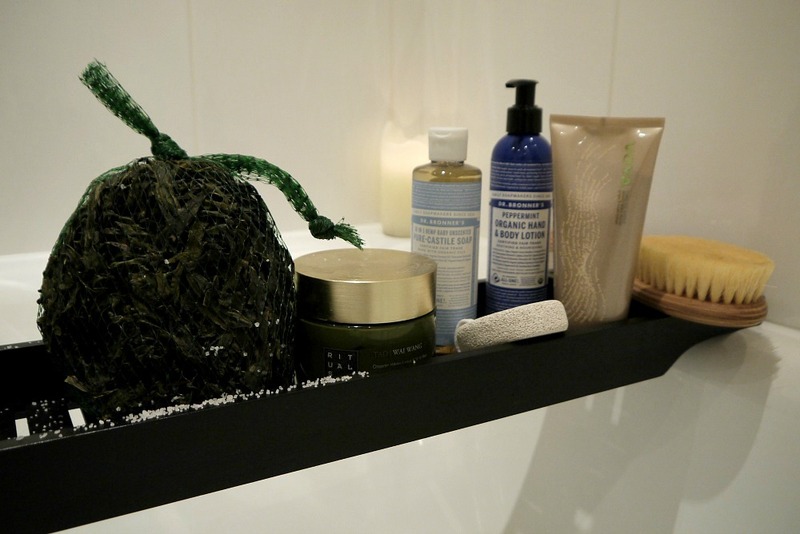 Oh if you missed my My Favourite At Home Facial blog post you can catch up here. I have had my body brush for a good few years but I must admit I do get lazy in using it and stopped probably while I was a good 8 months pregnant. Dry body brushing helps shed dead skin cells and in particular encourages new cell renewal which then gives you brighter and smoother skin. It's very easy to use just brush upwards and start from your feet working your way up. This can be done daily for maximum results or just twice a week if you are lazy. It can also help assist in improving vascular blood circulation and most importantly lymphatic drainage which is why you brush upwards. You can pick one up on the high street easily for a few pounds. I prefer a long one so I can reach my back easily but that is personal preference. After brushing I like to get in the shower quickly use Dr Bronner's 18 in 1 hemp baby unscented pure castile soap before exfoliating and recently trying *Voya's time to shine gentle ginger & sweet orange body polish to take away any left over skin so the body is ready to soak in plenty of moisture / goodness from my seaweed bath. The beads in the polish are finely ground walnut shell so it's very gentle on your skin and to finish off I like to use a pumice stone for the soles of my feet again just to scrub away any dead skin. This is Voya's very own seaweed bath, I actually got very excited by this product / concept of having your very own seaweed bath at home. This is the finest organic seaweed hand cut combined with dead sea salt. 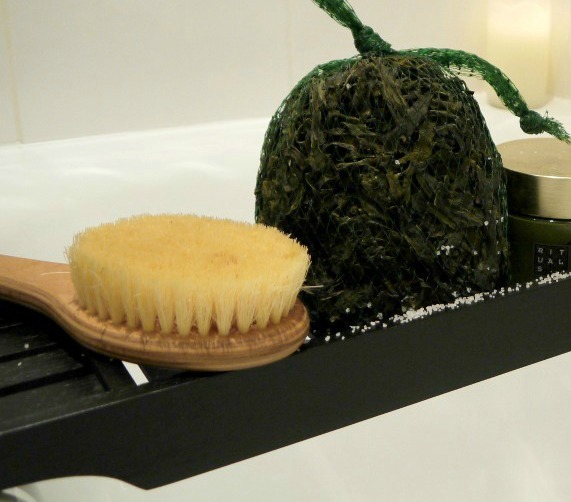 Little did I know that seaweed baths have been used for generations to repair and care the skin and it's known to help against signs of ageing and cellulite. This product is absolutely amazing for creating your very own luxury spa experience at home! A tiny bit of prep work is required before you can use it but it's dead simple. So for the best results you need to soak the seaweed and the sea salts in a bath of very hot water so just enough to cover the seaweed. Bath tap hot water is fine and just leave it to soak for a good 20 minutes then run your bath like normal to ensure a comfortable bath temperature. I am afraid soon as I got into the bath I completely forgot to take a photo of the bath with all the seaweed not to mention it got rather slippery and it was kind of a strange feel getting into a bath full of seaweed rather than bubbles however it was SO SO relaxing. Feels like all the toxins have been drained out of my body. 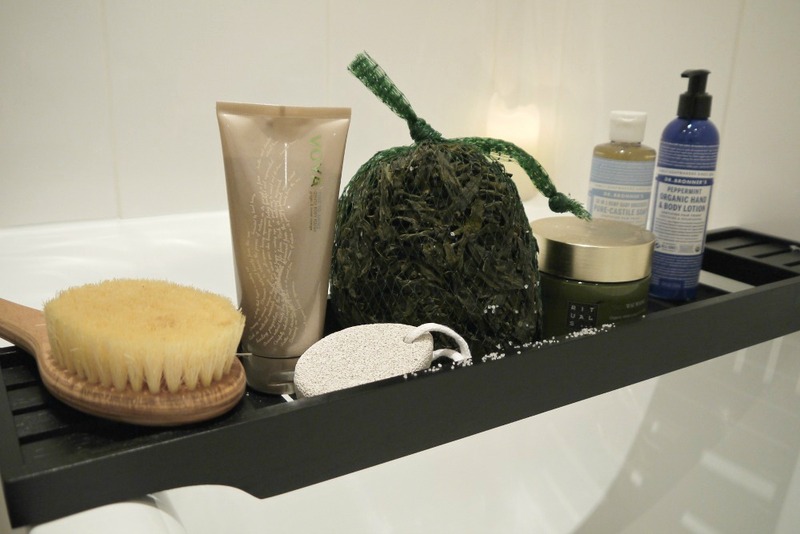 Seaweed contains high levels of iodine which are absorbed into the skin when immersed in the water. It doesn't look great with the water being green but I can assure you it felt so good. So the seaweed releases oils into the water making the water feel silky and after a good 20-30 min soak your skin / hair will feel incredibly soft. 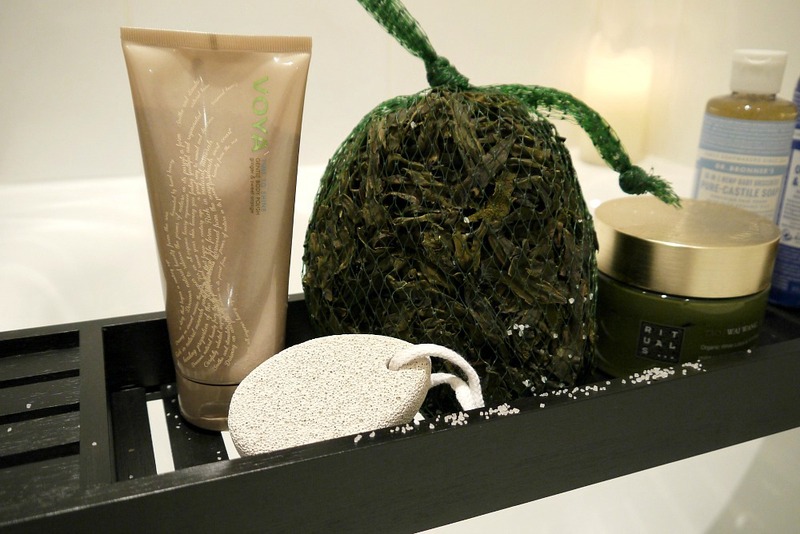 Seaweed naturally cleanses and purifies your skin helping to improve elasticity and suppleness and it can also reduce the signs of ageing by toning, moisturising, smoothing and stimulating your skin cells....this is the power of Voya organic Irish seaweed. 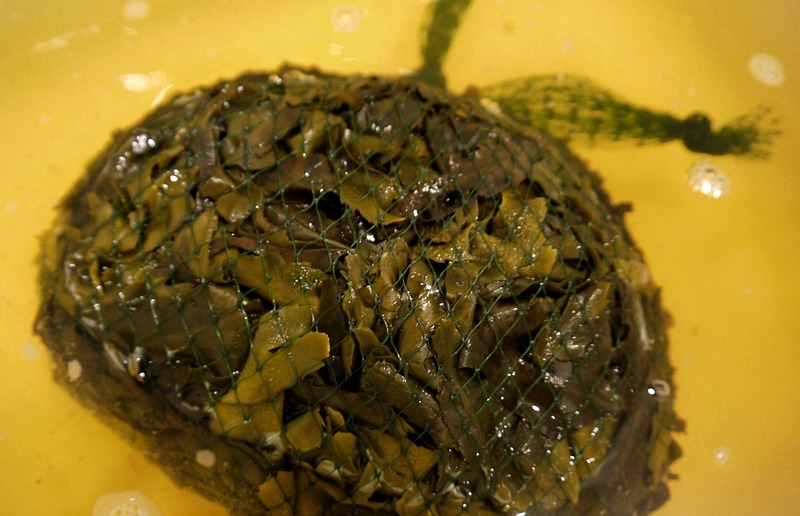 The seaweed can be dried and re-used again within 3 days and after it can be used for garden fertiliser. I actually used the seaweed 4 times over 7 days since I have baths daily it was just a case of chucking it all back in again in hot water and a quick soak. Definitely a treat and something rather different and would make a great christmas present for someone who is into their beauty / pampering. I then finished off with lathering myself in Dr Bronner's peppermint organic hand & body lotion to finish up and giving myself that refresh smell. There you have it my simple home DIY SPA! How do you guys like to pamper yourself and what products do you enjoy using?